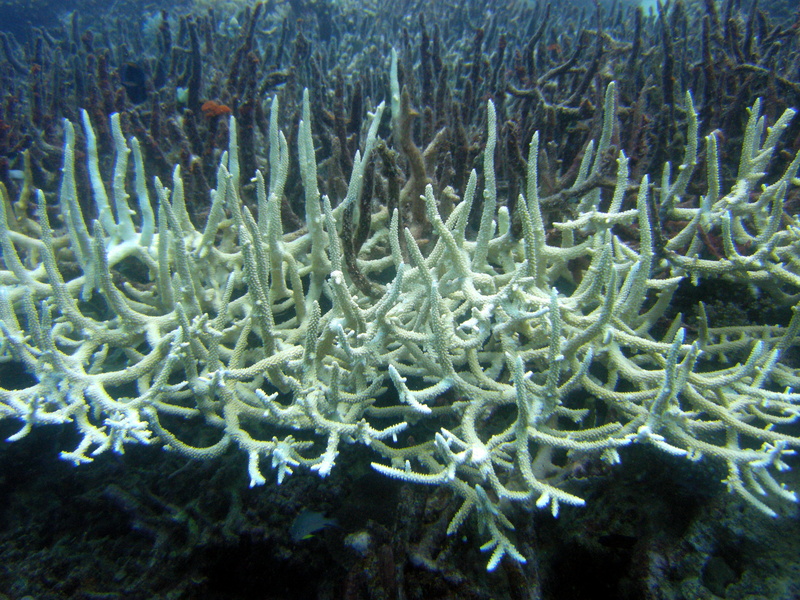 Could recent advancements in additive manufacturing provide a solution to coral bleaching? One proposal suggests it’s not only viable, but sustainable. While you may be struggling to wrap your brain around how 3D printing can possibly fix an ailing coral reef, first consider that the main cause of coral bleaching is elevated water temperatures and that additive manufacturing does not strictly mean 3D printing. Presented earlier this month at the National Science Foundation Workshop on Additive Manufacturing for Civil Infrastructure Design and Construction, Dr. Mo Ehsani, a civil engineering professor, internationally recognized expert on fiber reinforced polymer (FRP) technology, and founder of QuakeWrap, Inc., described an innovative system which could sustainably reduce the coral bleaching phenomena occurring worldwide. Conceptually, the idea is simple – use the ocean’s own cooler water to dissipate the increased heat of the shallow areas stressing the coral. Ehsani’s system utilizes a lightweight, single-piece pipe manufactured in place from carbon FRP. Using additive manufacturing for the pipe, it can be made to any length and to best fit local ocean floor conditions. The application of a floating Wave Energy Converter (WEC) makes the system self-contained and provides the electricity necessary to power the submerged pumps maintaining the constant flow of cool water. Graphics courtesy PipeMedic® by QuakeWrap Inc.
Ehsani’s innovative proposal is a great example of not only the “KISS” principle – keep it simple, stupid – applied to engineering, but also an illustration of how thinking functionally and understanding the “why” behind a physical phenomena leaves more room for innovative and economical solutions. The more you know, the more creative your solutions can be – catch the wave. Thinking functionally about your company’s products, what new applications do you see? Tell us about your quest for unconventional knowledge and what it could mean for the future of your products or companies. Share your thoughts in the comments section below and don’t forget to follow us on your favorite social media channel.